A great action shot, Marita. P.S. Thank you so much for all your warm and wonderful comments! I love the movement in this image. V.
I love this action shot. Yes, white and wild. Dramatic capture. Very well captured. 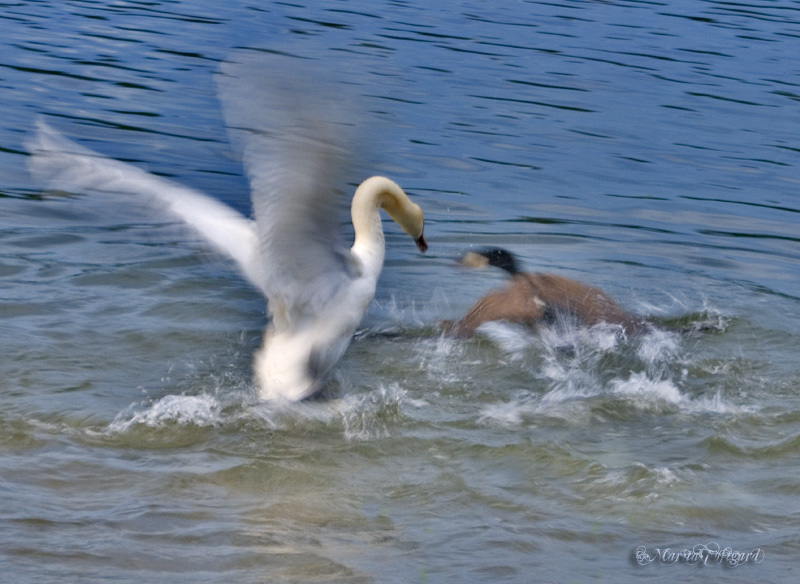 That's a bit of a vicious swan, excellent action shot! Great! It reminds me of Jason's aggressive swan. Very nice. Ths shot covers the last three month's challenges, you have movement, blue, and white! Great job! Great moment of action. very well captured. Dynamic.